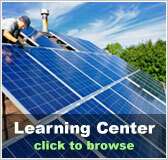 Michigan residential solar energy incentives | Solar Panels | Solar Power | Site Map | Bookmark This Site! 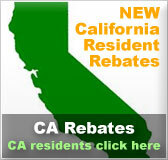 -This buy-back tariff also known as the Experimental Advanced Renewable Program offers its residential customers who own a photovoltaic system the option to sell all of the electricity produced to Consumer’s Energy at a rate of $0.65 per kilowatt hour during 2009, and $0.525 per kilowatt throughout 2010. -The eligible residential system size needs to be at least 1 kilowatt but no more than 20 kilowatts. -Systems must be manufactured in the state of Michigan to qualify. -Contracts last between 1-12 years. -Residents of Michigan and customers of some WPPI Energy utilities who install a renewable energy system to be used at their dwelling, are eligible to receive a rebate for their system. 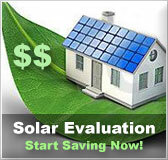 -The rebate amount for a photovoltaic system up to 20 kilowatts installed onto a new construction is $3.00 per kilowatt-hour. The rebate for a photovoltaic system installed by a NABCEP certified installer on an existing building is $2.50 per kilowatt-hour. If the system is not installed by a NABCEP installer on an existing building the rebate is $2.00 per kilowatt-hour. -The rebate amount for a small wind energy system up to 20 kilowatts is 25% of the system’s cost. Maximum incentive is $10,000. -Owners of PV, solar water heating, and wind energy systems will also receive a 50% rebate of the cost of service and repairs on the system. -Net metering is available to residents of Michigan who have renewable energy equipment such as solar, wind, geothermal, biomass or hydroelectric power that is capable of calculating the flow of electricity in two directions. 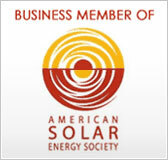 -Net metering applies only to rate-regulated utilities and alternative electric suppliers. -The net excess generation is given to the customer at the utilities retail rate if the system is 20kw or less as a credit on the customer’s next bill. If the system is between 20kW-150kW the customer will receive a credit at the power supply component of the retail rate. -Maximum system capacity limit is 150kW.